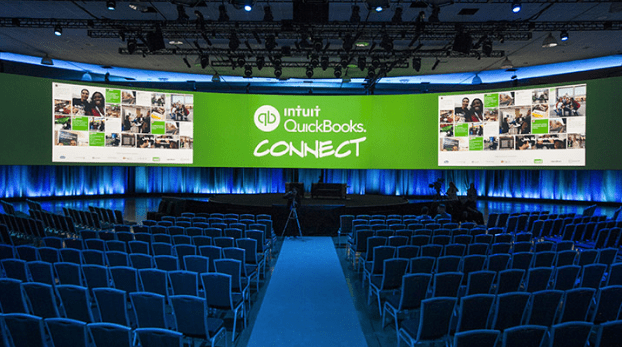 You're Going to #QBConnect, Now What? When I decided to begin my entrepreneurial adventure as the sole owner of a virtual accounting and tax practice in 2009, I had one primary goal in mind: build a 100 percent cloud-based business that will allow for a balanced work and family life. If I met this goal, it would allow me to service hundreds of clients a year by maintaining a remote year-round practice, while still upholding my truest motivation for becoming a small business owner – being a mom! I learned very quickly that juggling multiple entrepreneurial hats would not allow for me to efficiently scale my business and provide the best possible service to my clients. I knew I needed to improve my business model and decided to leverage technology and the Information Age to take my remote practice to an entirely new and exciting level. Based on 2015 statistics, there are more than 1.5 million apps providing advanced technologies to help you manage, automate and grow in your personal and business life. However, just reviewing, learning and implementing a handful of these tools can be overwhelming. My suggestion is to start small and focus on two or three key areas (possibly pain points) that you are trying to improve in your business, and implement these new technologies to create positive solutions. Take time to research and review the best players/software providers, and decide on the most important factors you require from your chosen solution. Spend between two and four weeks learning and implementing these technologies into your business. If you do not LOVE the solution within a month, cut your losses and try another one. You literally have millions of options. The most important technology solution for any remote practice is a reliable and affordable web meeting solution. This tool allows you to work and hold meetings remotely and reduce travel costs, while still maintaining a face-to-face experience with your clients. This solution should include desktop screen sharing capabilities, a conference call number and unlimited monthly meetings, and should support online meeting space for a collaborative team environment between five and 25 guests. My firm chose GoToMeeting for its preferred solution. A few additional options include Zoom, TeamViewer and Joinme. My next must-have solution was secure cloud storage for my firm’s electronic documents. My practice was not only going to be 100 percent cloud-based, but it was also going to be 100 percent paperless. This solution should include the highest level of secure and protected data options for your files, large space storage capabilities, and online and desktop automated syncing of all files. For my firm, I also wanted client portal capability. Client portals allow for remote practices and their clients to share files instantly through a secure web portal – no more multiple emails back and forth and no need to hand over paper documents. My firm chose Citrix ShareFile for its preferred solution. A few additional options include Box, Dropbox, Google Drive, SmartVault and ProConnect™ Link. The most challenging, yet beneficial technology I chose to implement for my firm was a project management solution. This solution can truly transform your business and provide a more workflow efficient and organized environment for you and your clients. However, this is not a “one solution fits all” element of your business. This tool should meet most of your requirements and possibly be tailored to your unique industry or, if not, it should be customizable to your business needs. At the bare minimum, this solution should allow for project/task management, a collaborative team environment for task delegation and communication, deadlines/status updates, and a snapshot view of all active projects, at once. My firm chose to use a combination of two applications to create the best project management solution: 17hats and Smartsheet. A few additional options include Asana, Zoho Projects, Trello and Active.collab. Now that I have shared my firm’s technology solution challenge with you, it’s time to take the leap and transform your remote practice today!